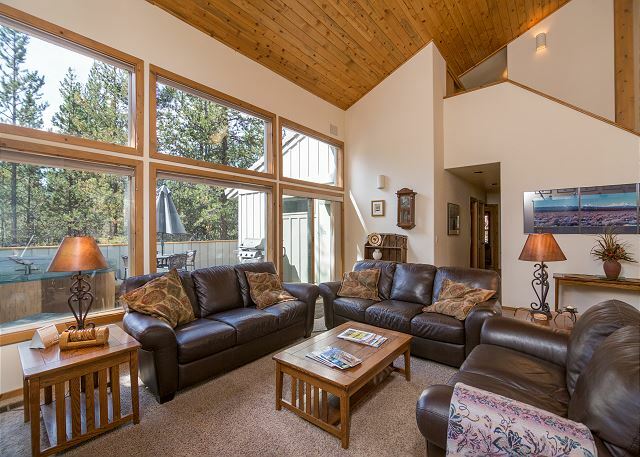 Balsam Lane #4 is an exceptional vacation home for families with children or multiple groups. 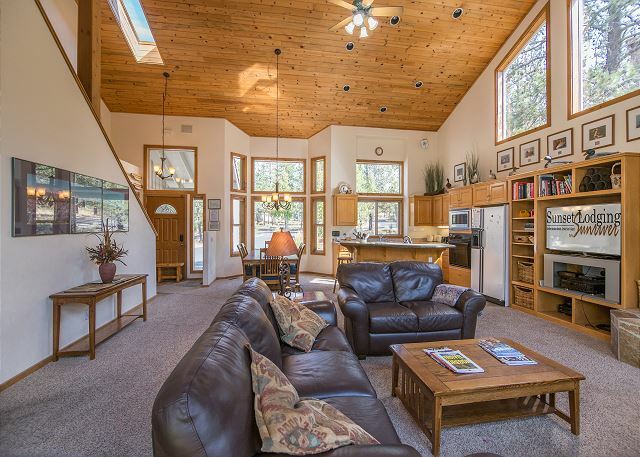 Located in the quieter area of the resort, this 4 bedroom/3 bath home can accommodate up to 11 guests. 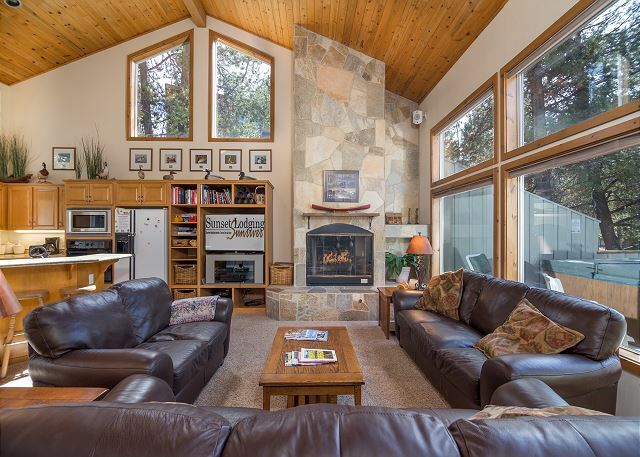 The open floor plan embraces you with large windows and updated furnishings. 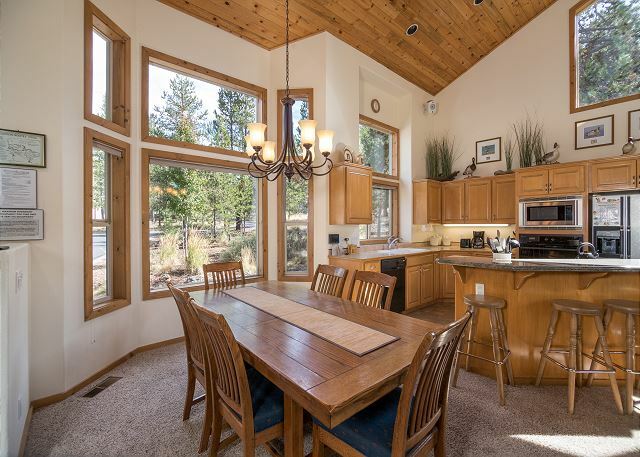 The dining area leads to the fully stocked kitchen and living room with a gas fireplace. Gather with loved ones while watching favorite movies on the comfy leather sofas. Owner will reimburse 50% of admission fee with valid SHARC receipt up to 50$ maximum per day. Must show receipt of payment for each day. Will not reimburse more than 50$ on any one day. Ask for more details. 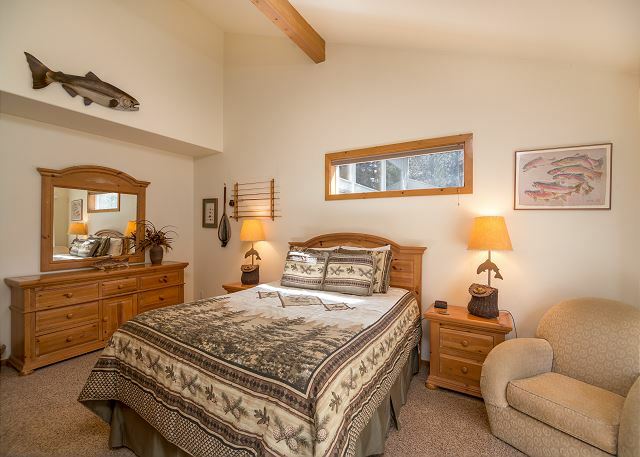 The master bedroom on the main level has a queen bed and a Jacuzzi in the master bath. 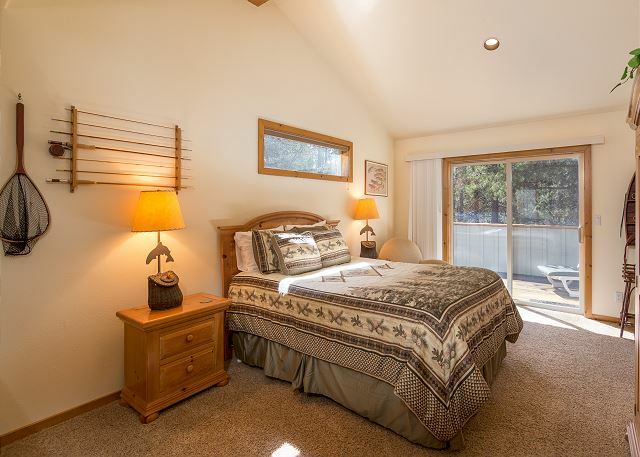 2 of the 4 bedrooms offer a queen bed and the 4th bedroom has a queen and twin bed. 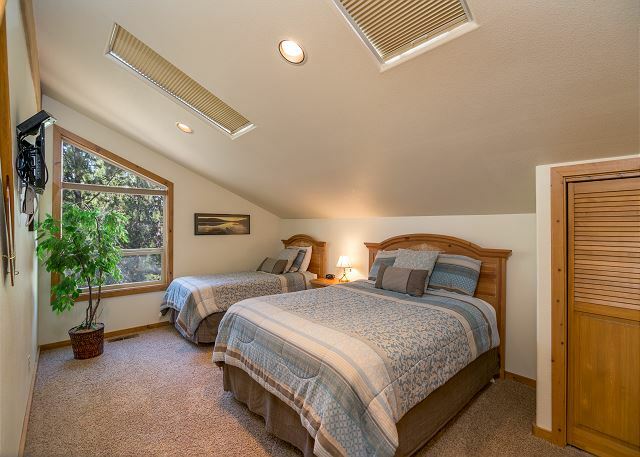 The loft adjacent to the bedroom upstairs has 2 twin beds…great area for a family with younger children or a group of teenagers. This home will provide a 50% reimbursement for SHARC entry with valid receipt from SHARC up to $50 per day maximum. Ask for details. 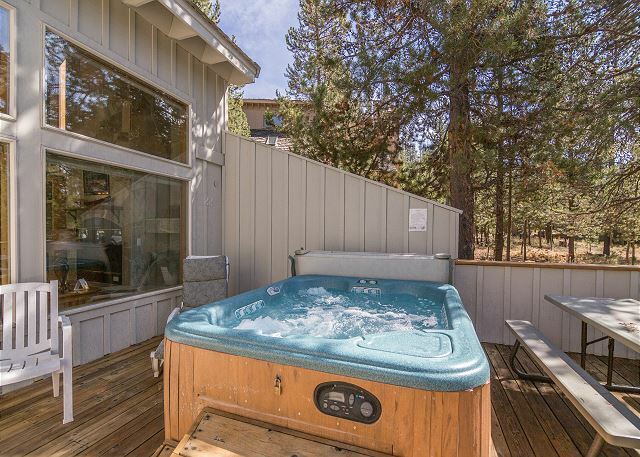 4 Bedroom & Loft/3 Bath4 Queens, 3 Twins, Jacuzzi in master bath, 4TVs (1 big screen)/3VCRs, DVD player, D/W, W/D, A/C, microwave, new gas BBQ, gas fireplace, HOT TUB, 8 bikes, 2 levels, 1 kayak, 1 canoe, Burley child’s trailer, double car garage, 2464 sq ft, 4 Star. 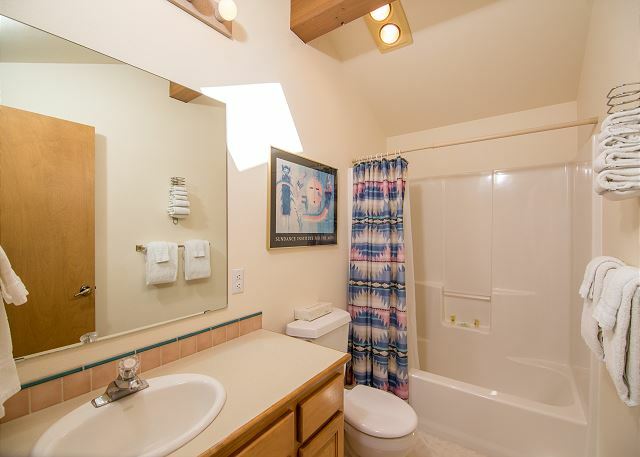 House was very cozy, hot tub water could have been cleaner. Sunset lodging was second to none on there customer service! Hands down the best rental agency I've got through. Thank You for the wonderful 5 star Review, Robert! We are happy to hear that you enjoyed the home and our service! Come back soon! Our tennis team (6 ladies) had a wonderful stay here. 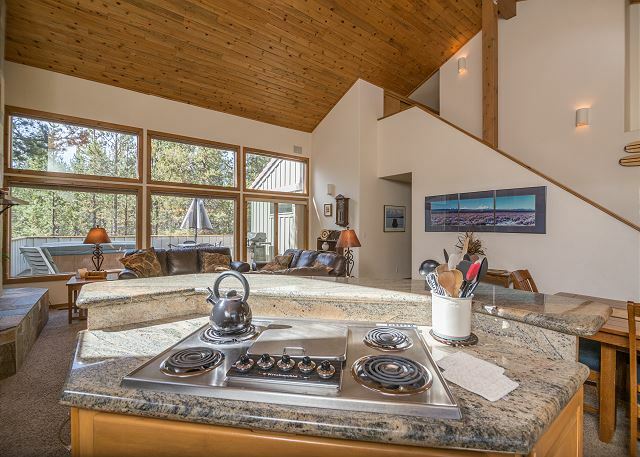 Everything was perfect and enough privacy with 4 bedrooms, loft and 3 bathrooms. 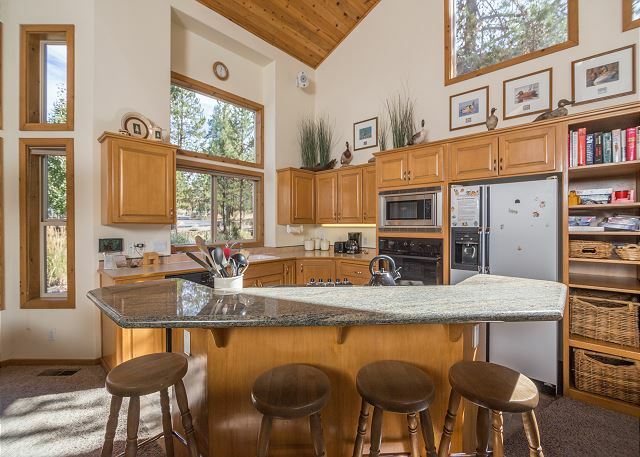 Open kitchen/family room was perfect! Thank you for your Review, Jacqui! So glad you had a perfect stay! We originally booked a different home but needed to be moved since the original home allowed pets and one of the kids was not able to remain. Sunset staff were able to accommodate our request to relocate and we ended up staying at Balsam 4. Balsam 4 was great. The space/layout was great, kitchen stocked pretty well and having A/C was wonderful. Great central location. We would stay there again. Thank You for your review, Kathryn! 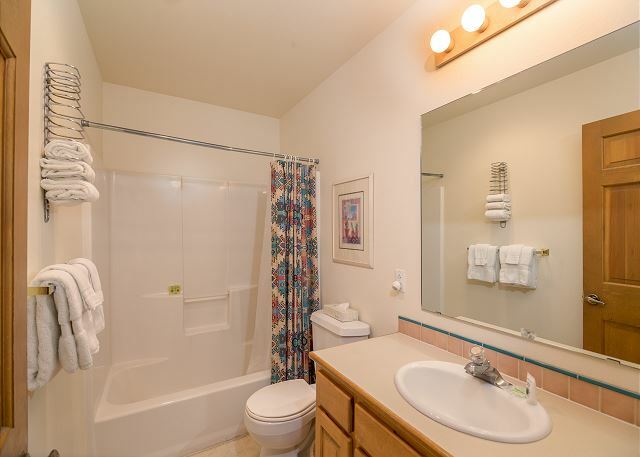 We are so glad that you enjoyed the home's layout, A/C and location. Come back soon! The house was very clean and comfortable with a well stocked kitchen. All beds were comfortable and we were glad to have air conditioning. Also, the staff at Sunset was great from start to finish. Thank You for the 5 star Review, Debra! Happy to hear that the home was clean, comfy and well stocked! Thank You for the compliment to our staff as well, we aim to please! This was a great house! We enjoyed eating outside on the large deck and the big family room for our family of 9 (plus two young kids). 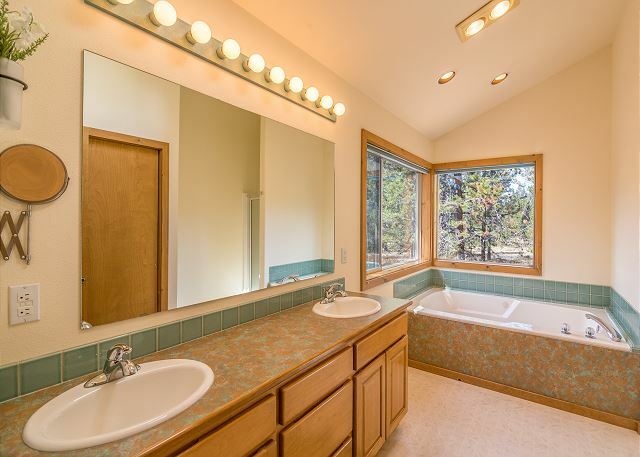 Plenty of room to have your own space, bikes to ride, and a spa to relax in. We will be back. Thank You for the 5 star Review, Christopher! We are thrilled to hear that you thoroughly enjoyed Balsam 4 and all of its charm! Come back and see us soon! our family well. already reserved for next summer! John, we're so glad you enjoyed your stay with us and can't wait to have you back! House accommodated family reunion with 10 people very well. Had everything we could hope for. Bikes were a huge plus. Will definitely return. Hi Monica, Thanks so much for the great review. We are thrilled that you had such a great family reunion and hope that you return again next summer for some more family time! Overall pretty good. Far more we liked about the house than not. Great living area, kitchen was great, A/C was awesome (except one back bedroom on the bottom floor in back would be too hot and the other one too cold). 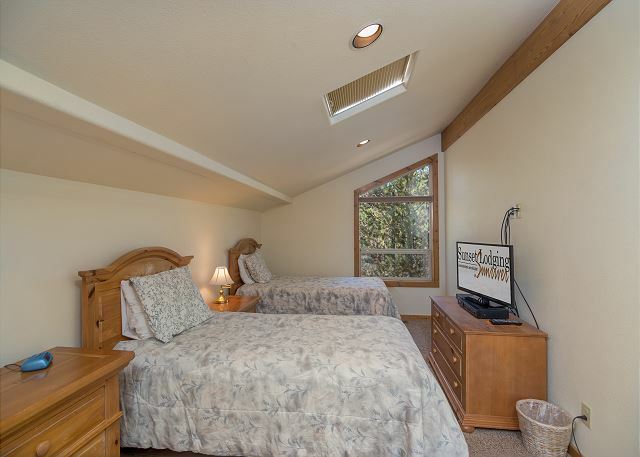 The single beds upstairs sagged too much so they were not comfortable. Great back deck. Barbeque was awesome! I cleaned it up before/after as the prior user left it messy. Didn't use the hot tub. TV's were great. Thanks for the Burley, but it needs the straps repaired. A couple of the bikes need the gears repaired. Absolutely loved the keypad entry system! Hello Dave! 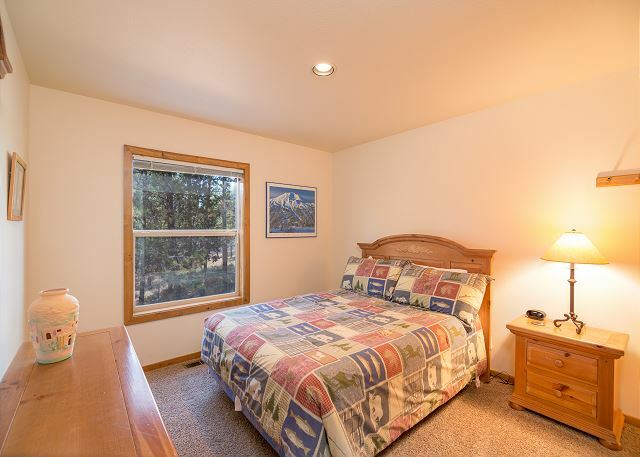 The owners have replaced the twin mattresses upstairs per your suggestion! Thank you for bringing the issue to our attention. We value our guests and their opinions. Also, the straps on the Burley have been fixed as well. Hope to se you again. We like to stay here once every two years for our two year annual family reunion. Most of the other family members stay at circle 4 but Balsam 4 has been perfect to accommodate our group. We love to hear that we are part of your family tradition, Michael! And we hope to get that honor for many years to come. Thanks kindly for your feedback and we'll look forward to 2018!! We were very impressed with this house. It was very clean,in good repair & equipped with everything we might want or need. It was in a great location and decorated in such good taste. 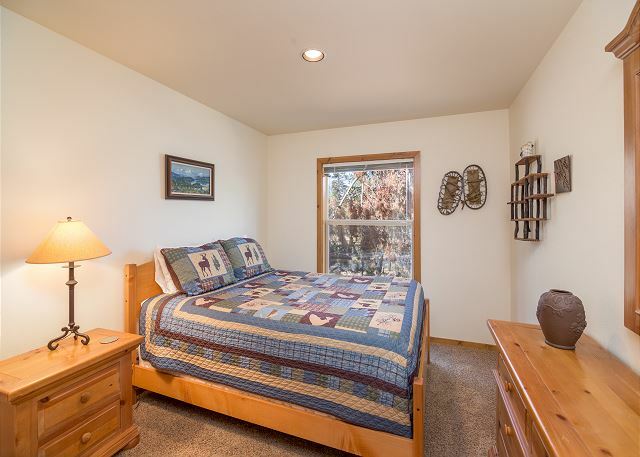 We very much like the configuration of bedrooms and sleeping arrangements. Especially nice for kids upstairs. Would like a King bed in the Master...but overall very impressed! 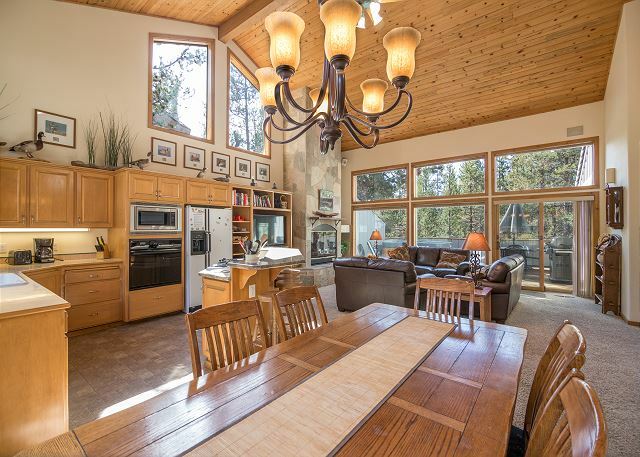 Would like to stay in this home every trip to Sun River if possible. So glad you enjoyed yourselves, John! 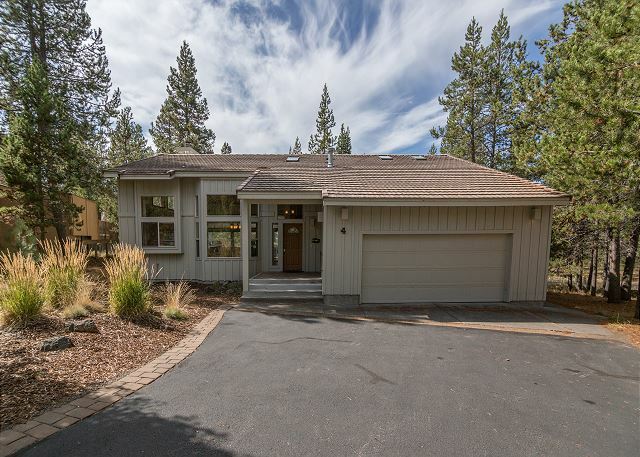 Hurry back to Sunriver! THE HOUSE WAS FINE, TEMPERATURE STAYED IN THE 70'S AND THE EVENINGS WERE COOL SO IT WAS GREAT FOR BIKE RIDING. You had GREAT timing for your vacation, John! No sign or symptom of the monster heatwave we'd had just a week prior! So glad you had good weather for the bike rides. 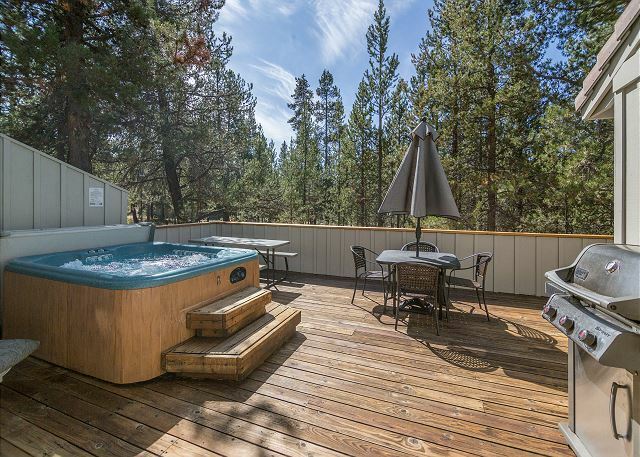 Please hurry back to Balsam 4, your Sunriver vacation memories await! This home was perfect for our needs. It was warm, clean, well-equiped and the layout was nicely designed. Since we forgot to order snow, we were glad to have a garage full of bikes to use. The welcome soaps and wine were a nice touch. Even though the management said they would be happy to find a blow dryer for us to use, it would be nice to add one to the house permanently.